Here is the last part of Nasir’s tutorial on Inverters. This time he’s focusing about a type of multilevel inverters which is Flying Capacitor multilevel inverters. As we know that a multilevel inverter is an electrical device that converts a DC power supply into an AC power supply. Multilevel inverter converts number of DC supplies into AC supply. The DC source can come from anywhere like solar energy or wind energy. 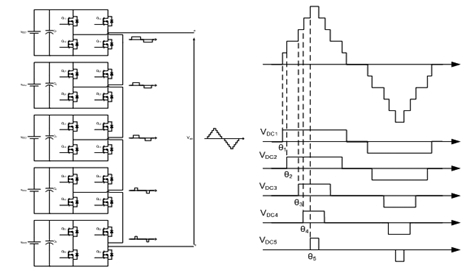 A quite well-known topology of multilevel inverter is Flying Capacitor Multilevel Inverter. It is quite similar to diode clamped multilevel inverter. This type of multilevel inverter requires capacitor to be pre-charged. 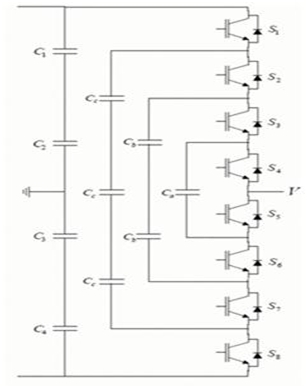 In the last article, multilevel inverters topologies have been well discussed. Now that you know them, their design and their applications, let’s see what Nasir has to say about some of the most important ones. One of the basic and well-known topologies among all multilevel inverters is Cascaded H-Bridge Multilevel Inverter. It can be used for both single and three phase conversion. It uses H-Bridge including switches and diodes. At least three voltage levels are required for a multilevel inverter. 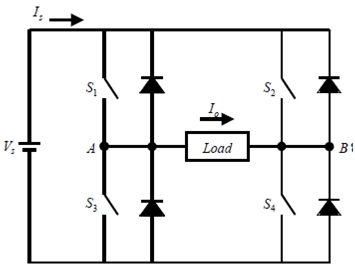 This can be accomplished by a single H-Bridge unit in Cascaded H-Bridge Multilevel Inverter. To keep the discussion snappy and clear I will go with the major points of this topology and also its advantages and disadvantages compared to other topologies. Check the latest article of Nasir (one of our members) from his tutorial about inverters. 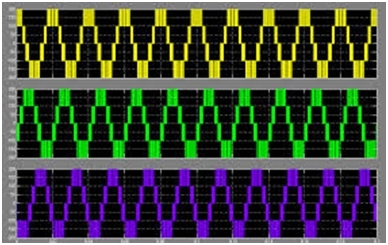 Owing to the recent popularity and immense industrial usage of multilevel inverters, a lot of research is going on in the field of multilevel inverter topologies. All these topologies have various applications along with their inherent limitations. In this part of his tutorial, Nasir, one of the members of the Electrical Engineering Community tells you about Multilevel inverters. Will you find it helpful? An electrical power inverter is basically a circuit that converts a DC signal into an AC signal. First things first… why do we need inverters in the first place? That’s simple because AC signal is more useful in our daily appliances and it travels easily. Now why multilevel inverters? That’s even simpler…..because it is easier to use multilevel inverters rather than using multiple power lines.